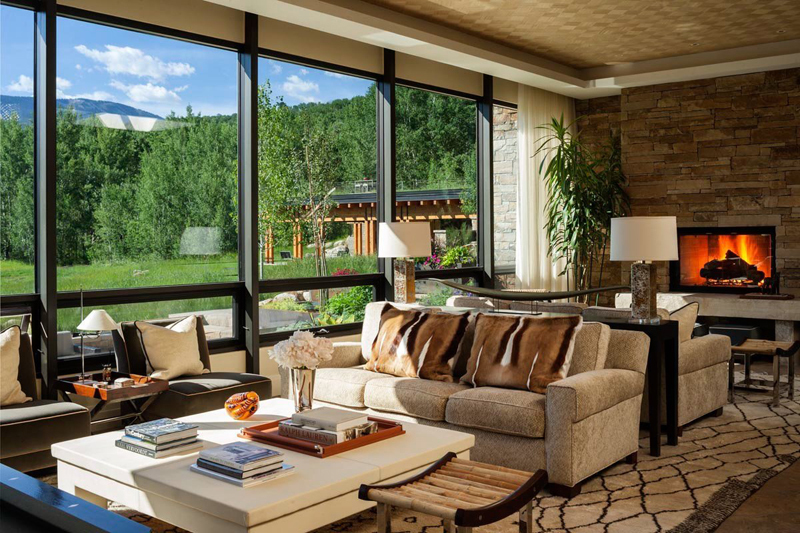 You'd love this living rooms with animal fur throw pillows in them. Adding pillows anywhere in the house are something fun and pretty rewarding. Being able to sit comfortably anywhere in the house and being able to hug or hold a pillow from time to time lessens stress and gives a calming effects to people – so, sometimes, picking the right pillow for your house could be tricky. Below is a list of 20 Lovely Animal Fur Pillows in the Living Room which I think are not only beautiful, but also classy and sophisticated. The living room photos on this list cover a whole range of types and designs that are made prettier because they chose to add animal fur pillows in them. Check out the list below and tell us which ones are your faves! 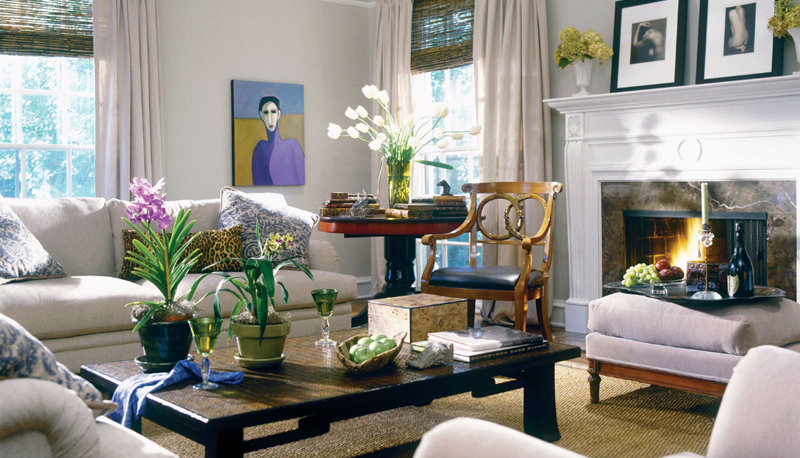 This is one lovely living room; it has the right elements in it that actually makes it really interesting and beautiful. The colorful pillows on the couch made the neutral-colored couch prettier. I think that the designer picked a beautiful area carpet for this space! 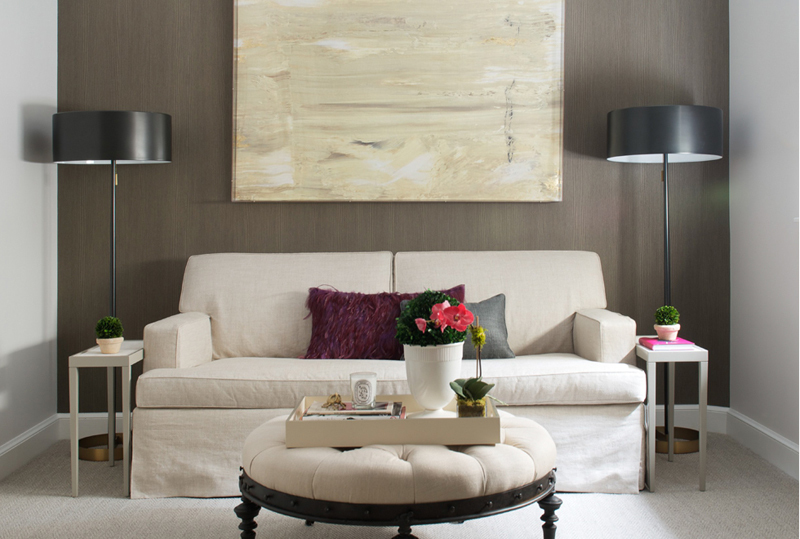 This is one glamorous living room! The choice of furniture and decorations in here is just fascinating and unique. From the looks of this one, I think that this space could actually be an entertainment room because of how closed off and comfortable this space actually is. A beach house is always pretty. The freshness it has in its designs always makes for beautiful spaces. 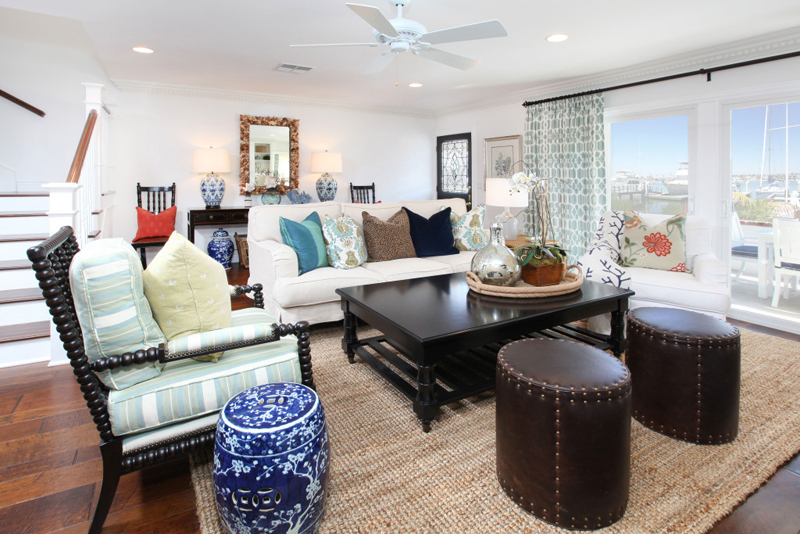 Even when beach house designs are most likely white and blue – who can say no to them, right? This living room is indeed a package – through and through. This is one classy and sophisticated living room that showcases the beautiful furniture choices that both the designer and the home owners wanted for the house. 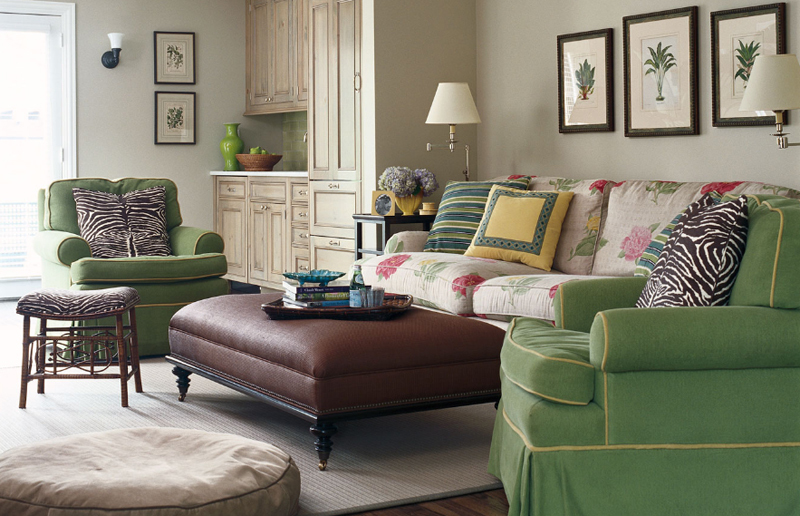 The color of the couches is a neat palette for the fun and classy pillows used here. This Chicago home sure looks cute and homey. 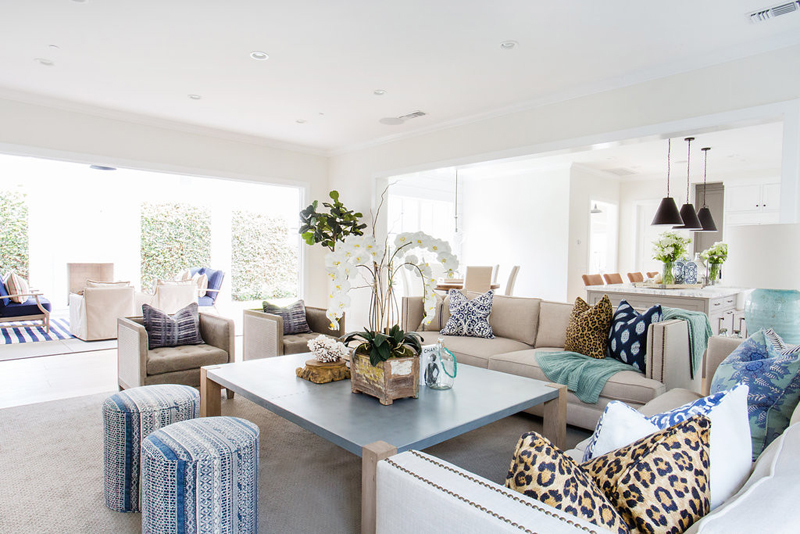 The printed couch and the green arm chairs pretty much tells us how traditional this living room is and yet by adding the animal printed pillows, we know that this has a hint of contemporary in it. I love the ottoman that they chose for the coffee table because it surely match everything inside this space. 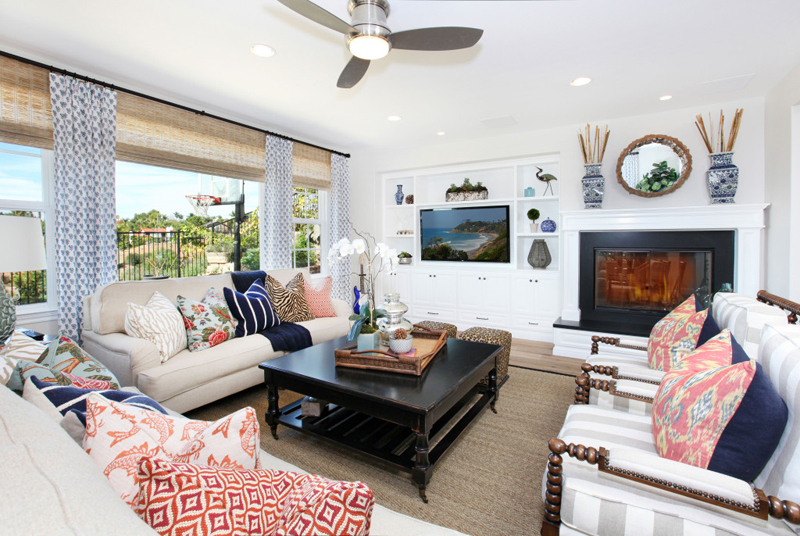 The bold choice of color and prints in this living room makes it more attractive. The blue accent walls and the printed ones make for a great story for anyone who would be coming over to check out your space! I like how they added two different colors for the bean bags and the pillows. This is one sophisticated living area. 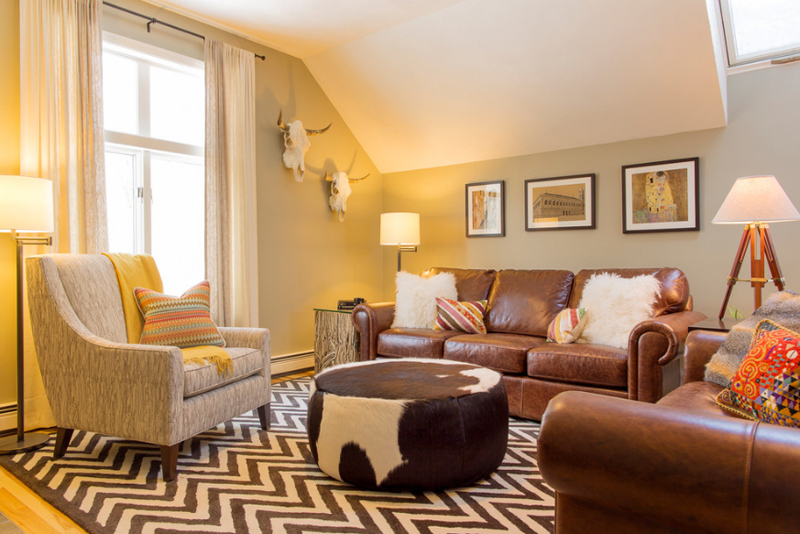 Aside from having animal fur pillows on the sectional, the designer also added cowhide leather on the floor as an accent to the carpeted floor. 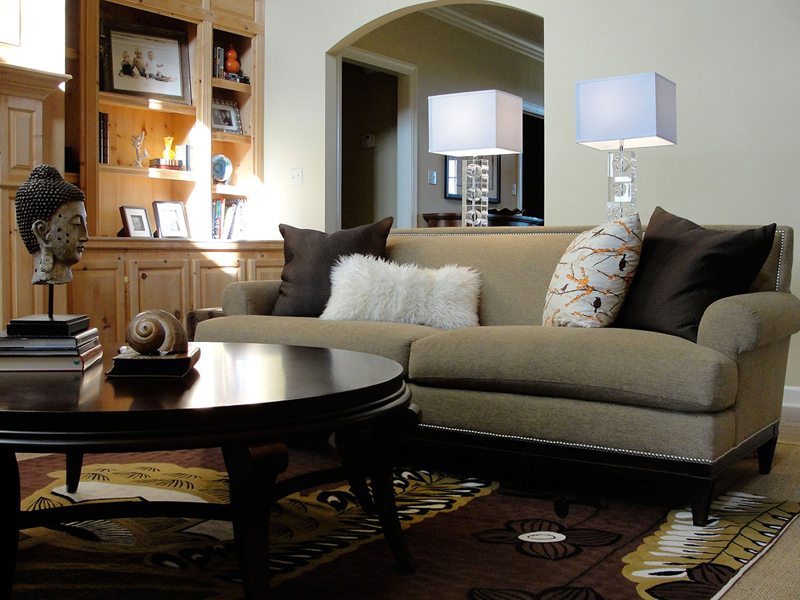 The choice of sectional, coffee table and table lamp actually amuses me, I hope the same for you. The gorgeous painting on the wall is just fascinating! 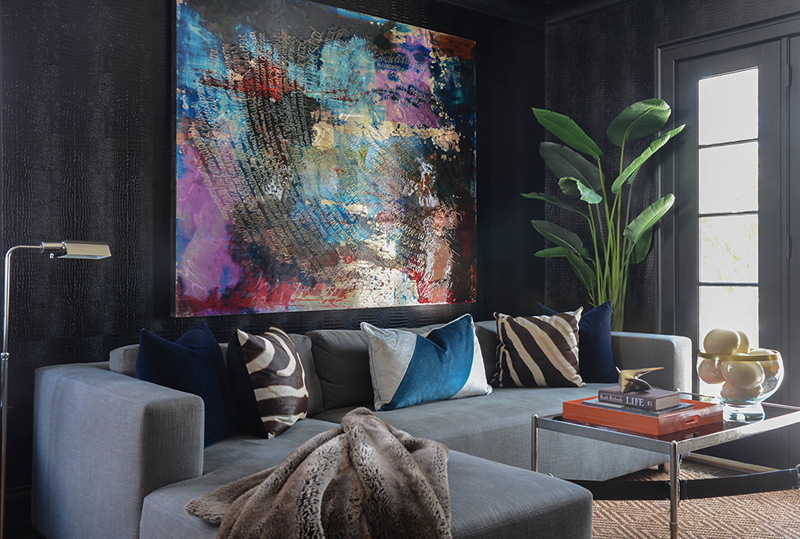 It’s abstract design makes it far more interesting than anything inside this living room. The color choice – on the walls, the sectional and even on the pillows is surely a treat for the eyes of anyone looking at this photo. What do you think about choosing yellow-colored lights for your lamps at home? I think they add a more conducive and prettier ambiance for any space (that’s for sure); and they create a calming space ideal for rest and relaxation – and in this case, for gaming as well. The light in this living room is makes it really welcoming. I think most people love it when their spaces, especially their living room and their kitchens receive much light because it makes the spaces look and feel better and at the same time it makes for great places to invite people to actually hang out in. This is one large living room, I think that this space has a lot of potential to it. Adding more seating or bean bags in here could actually accommodate more people. As much as this space needs a bit more arrangement, I think that this is one neat minimalist living room with the right elements to it. 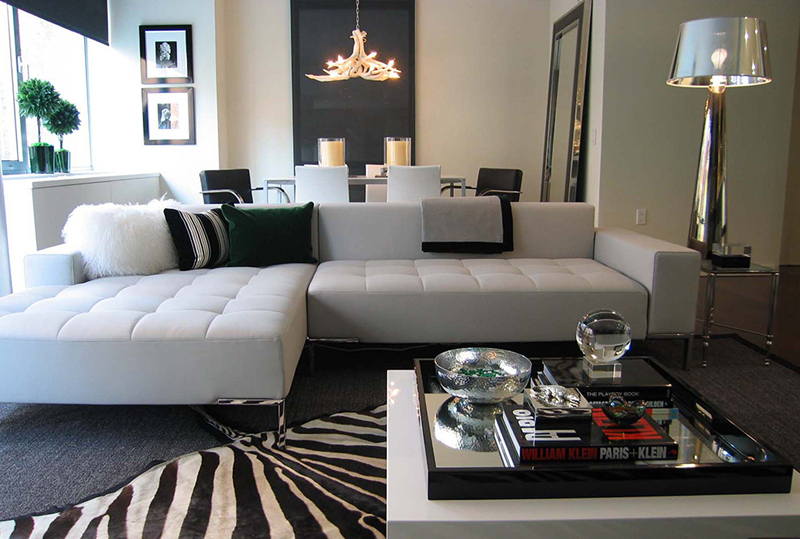 The monochromatic look of this living room is quite amusing. As much as black and white spaces are stunning, I mean, they usually are, I think adding a couple of things with color in them makes black and white spaces prettier. 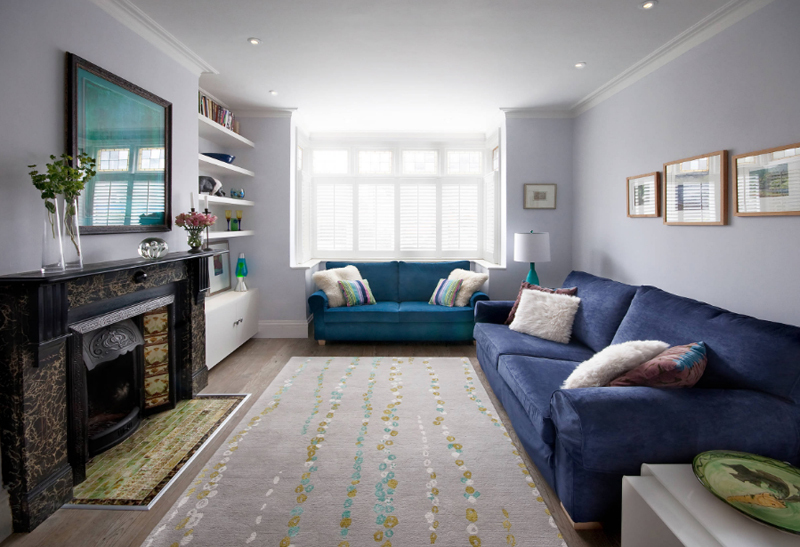 This is one stunning living room! It seems really bright because of how much light that comes inside it. This could mean that this home saves a lot of money in terms of light and it I am not mistaken, I think that ventilation in here is quite something they save too. 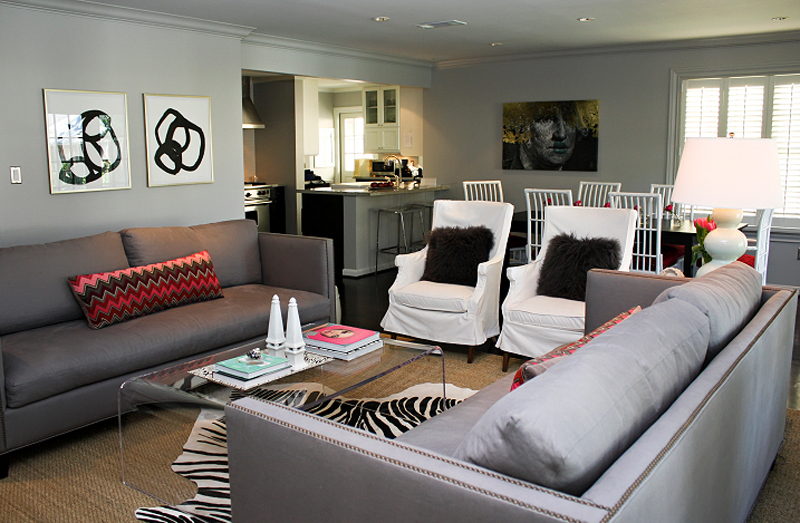 The white walls matched with the colorful ottomans and the pillows in here make for great color combination. This is one cute space! We only see a portion of the entire living room, but then seeing this cute couch and its fun and lovely pillows is such an eye candy. Notice how everything in here is almost plain except for the area carpet and one of the pillows on the couch. The lovely animal fur pillows on the couch are larger than usual; I think it’s beautiful though – it complements with the color of the couch and well, almost the entire living room. I like how they have large windows that allow people to see the entire outdoors and enjoy the lovely sight! Oh I love the divider used in here – the blue colored walls and divider (the wall or panel that separates the living area from the other room) is a great decorative thing in here while being very useful at the same time. The bold choice of choosing the blue is cool but at the same time, really beautiful. What do you think about this open concept of a living space? From the living room, we see the dining area and from either the living space and the dining area, we see the kitchen. Pretty neat – I always like arrangements like this one because it allows for more interaction between family members or guests. This is one living room that surely made use of the large space that it has. It accommodated a couple of arm chairs and couches in here to really allow more people to sit. In times when the home owners have parties or get together, they can basically invite more people because they have a lot of space to sit people altogether. This is one lovely looking living space. We only see a portion of it, but this looks really beautiful. The furniture looks simple but real pretty – the floor lamps are quite special and the accent wall surely complements everything inside this space. This looks like a neat and comfortable space to actually hang out in. The color of the sofa is something anyone would like to have. 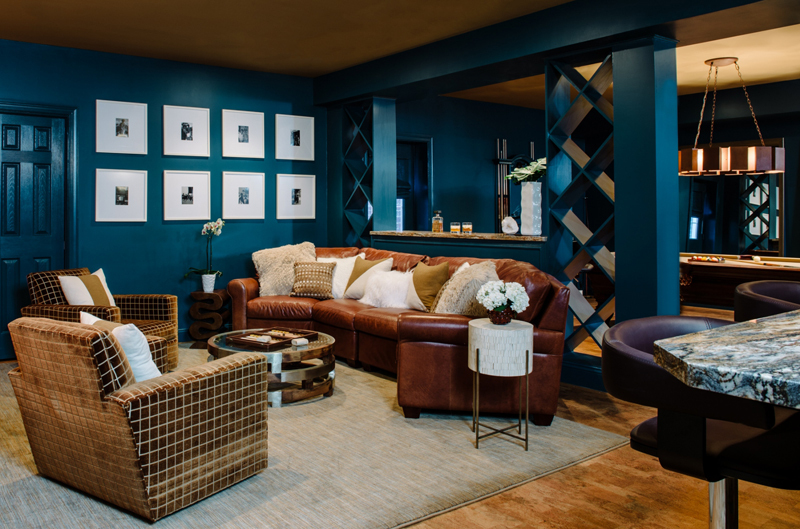 Even if these are not neutral toned couches, these could actually fit in any living room – of course, as long as the walls would be complementary to it. Like black and white, blue can pretty much match any other color scheme there is. Now this was one list! I sure am happy about how much lovely animal fur pillow designs that are out there. From the simplest ones to the prettier versions. 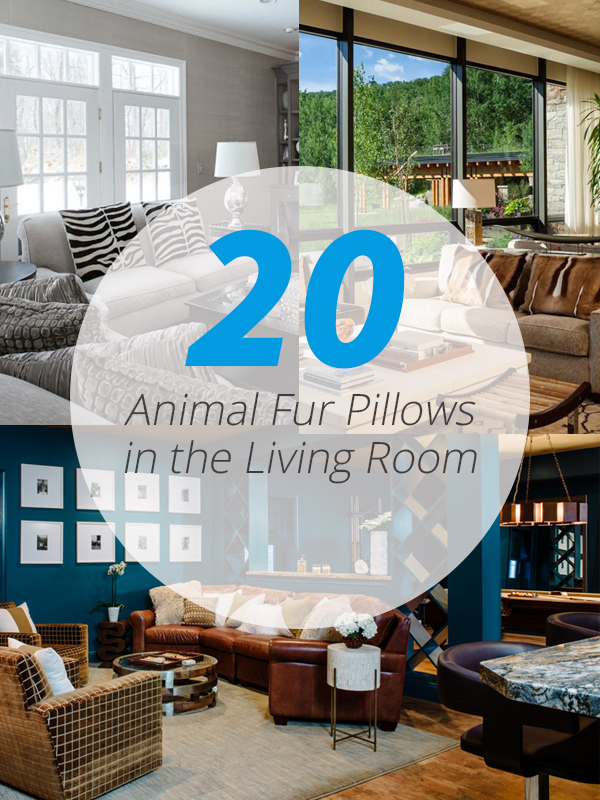 If you might have noticed, the living rooms above, along with the ones in the list we created before, the 25 Stunning Living Rooms with Animal Fur, you’ll see how prettier the spaces have been with the pillows in them!